I have posted a quick review of whether you should upgrade to AutoCAD 2011 or not. Basically you can do almost everything in AutoCAD 2010, except for the transparency. We are talking about 2D drafting here, no 3D yet. However, there are some nice enhancement in AutoCAD 2011 that can make you achieve what you want easier and faster. 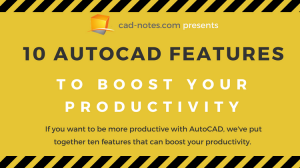 In this post, let us talk about hatch enhancement in AutoCAD 2011. Autodesk has moved the hatch dialog box to the ribbon. 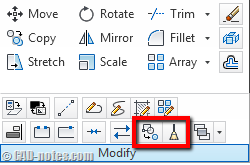 After you activate hatch tool, AutoCAD 2011 will open a contextual tab: hatch creation. Every option that you can find in the old dialog box is here. Plus the transparency, new feature in AutoCAD 2011. If you want to see the old dialog box, you can choose settings from dynamic input or command line. I don’t think you would want to do that, but the option is there. Using the ribbon contextual tab is much better than the old dialog box. With the ribbon interface, you can still access your drawing area while hatch tool active. You now can see the live preview of your hatch! 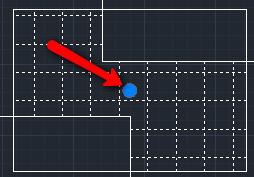 Move your pointer within a boundary, then you can see the live preview. Move your pointer around and see that AutoCAD 2011 will find new boundary. Change the value if necessary from your ribbon. After you satisfied, click your mouse to place the hatch. Very simple! I think this is a very good enhancement, make it simple, but powerful. 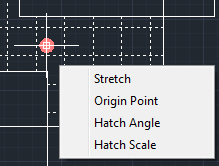 Now you can modify hatch graphically, no need to guess the value from hatch dialog box. Click to select your hatch. AutoCAD 2011 ribbon is now showing hatch editor tab. You can change the value in the contextual tab, and also you have an option to do it graphically. Hover you mouse above the control grip. It’s at your hatch center. Wait for a quick moment, and the control grip will turn to red. Now it’s showing several modification options. You can select one of available option and start modifying it. You can also press [ctrl] to cycle between the options. I believe this is also something new. I don’t remember that I can press [ctrl] to cycle between options in previous AutoCAD release. This is nice. However, I’m kind of disappointed that AutoCAD 2011 immediately end the modify tool after we use it. If I want to move the origin, rotate the hatch, and then change the scale, I need to access the control grip 3 times! This make the cycling between option looks useless. I tried to find if this behavior is controlled by a system variable but can’t find any. Here is a quick animation how you can modify hatch is AutoCAD 2011 graphically. Do you think this enhancement is good? Do you like it? Greetings from Honduras, HPDLGMODE=1, hide the tab in the ribbon, but only when you create a hatch, when editing shows the "Hatch Editor" tab, that really piss me off… is there a way to make it desappear? You can see how you can remove the contextual tab behavior here. You simply need to remove it using CUI editor. How can i add my own hatch to my library. You can put all your hatch files to one folder, then add AutoCAD support file path to that folder. You can do it in AutoCAD options> files tab. This new hatch concept is horrible, the ribbon interface is much slower than the dialogue box and it does not contain everyhting the dialogue box had. inherit properties for one which is used extensivly. sometimes they should just leave a good thing laone.If its not broken dont fix it……….. There are several system variables that you can set to turn the behavior off. See in Shaan's blog here. Set HPDLGMODE=1 to get your old hatch dialog back. The brick hatching exist before 2011. Autodesk doesn't change the hatch library since a long time. And you can always add your own hatch to your library.